Help decide which team will win a trip to Fluke Park and $3,500 worth of tools! 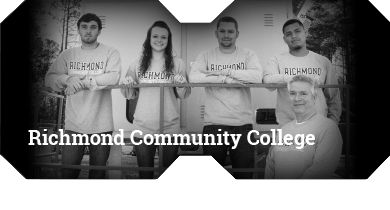 Click on each's team photo to view their project summary, report and video. Then cast your vote for the team you think best demonstrates the use of the Fluke Connect Wireless System. Synopsis: We will meausure CAN high and CAN low voltage and current measurements. We will also measure the potential interference by electro-magnetic fields on a twisted pair and will study the effects of a magnetic field induced on CAN Bus wiring in a harness (how the CAN Bus voltage readings are affected and how effective the twisted pair model is in counteracting this induced voltage). Documentation of all diagnostics, tests and readings will be performed on in-house created task sheets pertaining to each individual diagnostic phase. The Automotive diagnostic, repair and maintenance business is extremely time dependent and oriented. Anything that aids in reducing time per vehicle results in better efficiency, productivity and, ultimately, profit. Efficient, easy to use and intuitive diagnostic equipment, in the hands of a trained technician, will result in cost savings and a higher profit margin. Being able to access accurate voltage, amperage and ohm readings on a vehicle is a key component of our business. With continuous access to cloud based diagnostics a technician can record these readings, potentially, even when performing a test drive in an attempt to replicate a condition/complaint. Synopsis: Our program is a basic training program for Heating, Air Conditioning, and Refrigeration Service Technicians. Our project for using Fluke monitoring tools and equipment is set up a monitoring system for a transportation unit as is currently used in transcontinental shipping. Our team is designing a system that will monitor all aspects of this refrigeration system including electrical usage, temperatures and system parameters. This system will transmit and record all data on an internet accessible format allowing for alarms and troubleshooting of this system be handled on a compatible internet device. Synopsis: Our objective is to eliminate profit erosion due to warranty claims. In our scenario, we intend to demonstrate this by discovering problems with power quality. After a specialty contractor installs a network of automation controllers for a building system such as HVAC, lighting, or security, warranty service calls can cut deeply into the profit of the project. Typically 2-3% of the project cost is in retention for warranty. A warranty call will typically take at least 3 hours. Some projects will lose significant profit margin due to warranty calls. We believe that many reports of "phantom problems", such as intermittent controller communication faults, are actually power quality problems. The difficulty is that the problems occur when no-one is present to observe them. The result is that the contractor is unable to prove that the problem is not with their workmanship and is therefore not warranted. By monitoring the incoming power to a building or the input to a relevant panelboard the contractor can proactively monitor the system 24 hours a day. By recording the data and alarming events when the power quality is not within acceptable limits a site visit can be avoided. More importantly, the cost to roll a truck is eliminated and profit loss due to warrantee claims is reduced. Synopsis: Our project idea is to use Fluke Connect Wireless Sensors and software to provide the information necessary for re-commissioning a customer's solar photovoltaic system. This will allow the customer to confirm that the PV system they have installed is actually generating the power they anticipated. The re-commissioning process will confirm that the design parameters have been followed and the system is installed properly, meets code and determines the system performance level. If it is not performing at the expected performance level, then potential steps can be taken to improve its operating efficiency, then re-tested and validated. This will assure the customer they are getting the highest level of energy from their PV system investment. We will be comparing the usage of Fluke Connect Condition Monitoring Sensors to the use of Fluke 434 and 1735 traditional power recording meters to show how electrical service providers can reduce the man hours and costs associated with this type of testing. Fluke Connect Sensors, the gateway and 24/7 access to real time data will eliminate the need to constantly return to the customer's site and download the traditional test instruments (Fluke 434 and 1735) recorded records and make preparing multiple reports efficiently and timely. Synopsis: Our Electric Utility Substation and Relay Technology Team is training to maintain high voltage equipment and protection & control systems. During our practical labs we must demonstrate "Bus Differential Protection Application of PVD Relays Using Different Ratio Current Transformers." 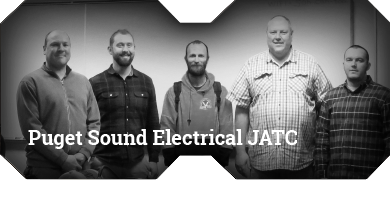 Following a safety brief, each of us must inject voltage and amperage, measure outputs, and make mechanical adjustments. 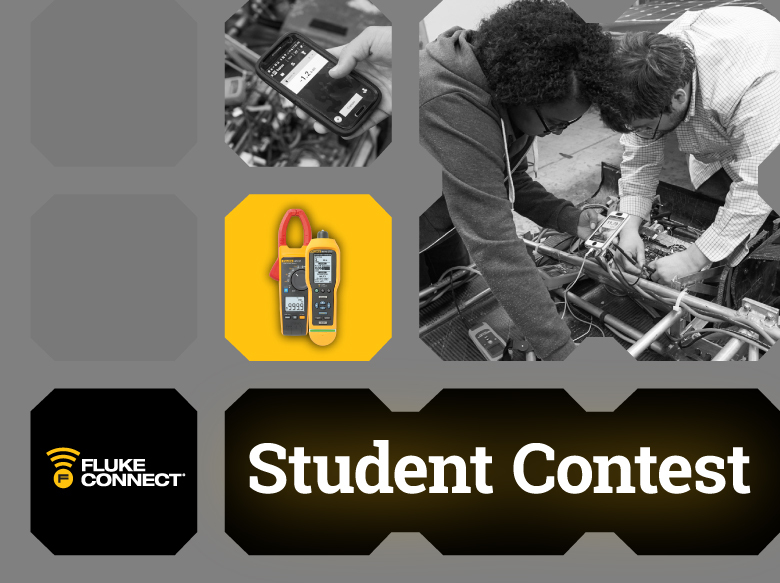 The Fluke Connect app will allow us to improve work results, team collaboration, and communication through real-time observation and engagement. We anticipate improved reliability / machine health (involving data management) in the care of our test sets and our data. We have high expectations for improved client communication (reporting) and expect to accomplish all our goals at lower than current expenditure promising a firm return on investment (ROI). Project: Implementing a standard operating procedure to diagnose, fix, and maintain commercial container refrigerator systems. Project: Finding Phantoms - Discovering intermittent power quality problems that interrupt automated building functions. 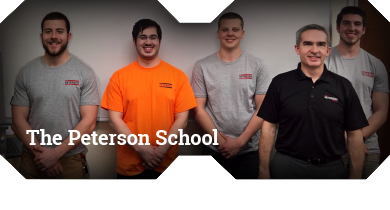 Project: Commissioning solar photovoltaic systems and validating their parameters for colleges and Washington state. 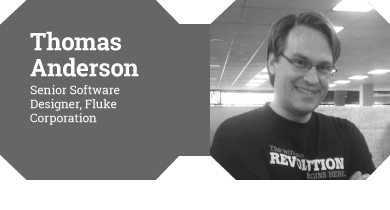 Thomas Anderson is a Senior Software Engineer in Industrial Tools Group at the Fluke Corporation. 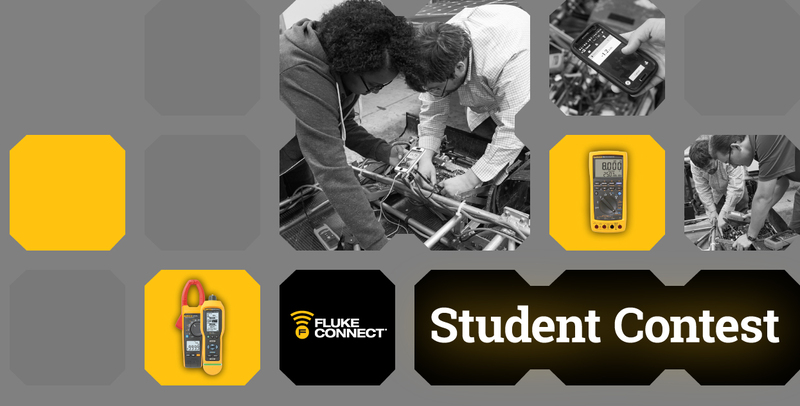 During the past 7 years at Fluke, he has worked on the teams that wrote the firmware for the 113, 754, 233, CNX and Fluke Connect® wireless tool systems. 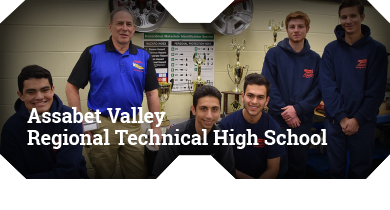 Thomas is actively involved in promoting engineering education. He is a software mentor for FIRST FRC (First Robotics Competition) and Fluke’s Internship program. Prior to joining Fluke, Thomas worked at JohnsonDiversey Equipment designing peristaltic pump controller for industrial dish and laundry systems. Thomas holds a bachelor’s degree in electrical engineering from Seattle Pacific University and a Technician class Amateur Radio License (call sign KD6TYV). 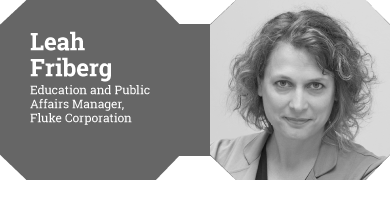 Leah Friberg is the education and public affairs manager for Fluke Corporation. 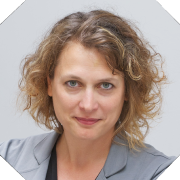 Leah works with technical specialists worldwide, developing best practices in test and measurement as applied to electrical, electronic, HVAC and industrial installation, commissioning and maintenance. In her ten years at Fluke, Leah has become known both for her test and measurement subject matter expertise, as well as her support of vocational education and workforce development. 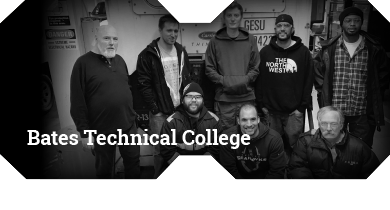 Whether presenting to journalists or instructors, developing next-generation hands-on training materials, or collaborating with institutes and associations, Leah advocates the importance of hands-on instruction in preparing both today’s and tomorrow’s technicians and engineers for the productivity requirements ahead. Prior to joining Fluke, Leah worked for various companies in the Seattle area, including an online school, Microsoft and AT&T Wireless. Leah holds a bachelor’s degree in international economics and political science from The Colorado College. 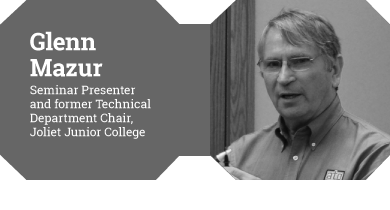 Glen A. Mazur is an instructor, consultant, engineer, and seminar presenter with over 40 years of experience in the electrical field including the positions of professor and Technical Department Chair at Joliet Junior College. He has written over 35 books in the electrical field, with some translated for use throughout the world. 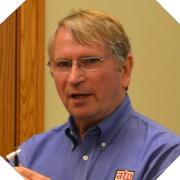 Focusing on practical skills and hands-on experiences for participants, Glen has presented training seminars for companies such as Intel, Clorox, Disney World, Diageo Bottling, Abbott Labs, etc. and organizations like the Electrical Training Alliance, the United Association, as well as governmental agencies such as the Department of Energy and the Department of Defense. 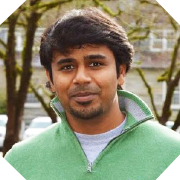 Sabari Ram is a SaaS Product Manager in the Fluke Connect team. 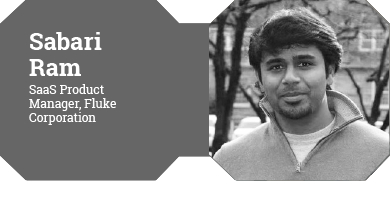 Prior to Fluke, Sabari has worked in software application development and Product Marketing at various technology firms such as Autodesk, Cognizant Technology Solutions and Infosys Limited. Sabari holds an MBA from the University of North Carolina, Chapel Hill and a B. Eng., Production Engineering from Anna University, India. Todd Reed, Graybar National Market Manager, spends his days focused on finding new ways for contractors and installers to save time and money. During his 12 years at Graybar, Todd has witnessed the importance of a well-trained workforce and enjoys working with students who will shape the future of the industry. 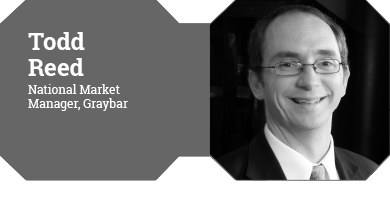 Prior to joining Graybar, Todd worked at a small, family-owned distributor. Todd's ties to the electrical industry run deep as his wife is an electrical engineer and owns a lighting design business and his father-in-law was a career electrician. Todd holds a bachelor's degree in business from The University of Kansas (Rock Chalk Jayhawk!). 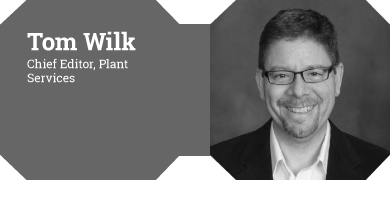 Thomas Wilk is Chief Editor of Plant Services, delivering leading-edge content that showcases smart manufacturing processes and reliable asset management for safe, sustainable plant operations. 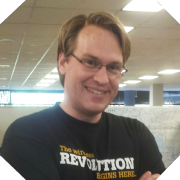 Tom previously was Content Strategist / Mobile Media Manager at Panduit, breaking new ground for that company in the areas of digital content strategy and mobile app development. 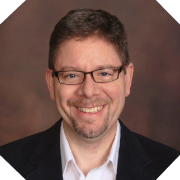 Prior to Panduit, Tom was lead editor for Battelle Memorial Institute's Environmental Restoration team, and taught business and technical writing at Ohio State University. 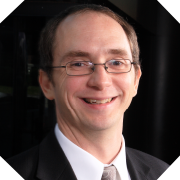 Tom holds a BA from the University of Illinois and an MA from Ohio State University, and is an avid hiker and runner.